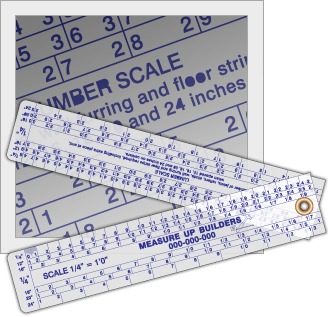 This item employs charting and scales and is used to plan lumber layouts. It comes in handy for many construction applications. The charts convey how much lumber is needed in different sized areas. The ruler pivots to open or close and is small enough to fit in a shirt pocket. 6.75" x 1.3125" x .030"